Unicef joins chorus of agencies warning that paralysis of key services caused by border blockade with India has compounded earthquake devastation. Unicef has cautioned that the blockade of Nepal’s border posts with India“threatens the future of the country itself”. The stark warning from the UN children’s agency, which echoes sentimentsexpressed by Nepal’s deputy prime minister, Kamal Thapa, earlier this month, follows calls by aid agencies working in the country for an urgent resolution to the crisis. The crisis centres on opposition to Nepal’s new constitution, signed on 20 September. Although the charter was passed by a large majority of MPs, members of the ethnic Madhesi political parties boycotted the vote, claiming the constitution failed to guarantee them fair representation in parliament and public office. Since August, Madhesi political parties have imposed a general strike across much of the Terai, the southern plains that run the length of Nepal’s border with India. Public transport and health services have been severely disrupted and many factories and schools have been closed for months. Unicef estimates that more than 1.5 million children are out of school in the Terai region alone. Soon after the constitution was agreed in September, the protests were stepped up as demonstrators blocked border posts with India, including the main entry point at Birgunj, a town about 135km south of the capital, Kathmandu. The blockade has led to acute shortages of petrol, cooking gas and other essential supplies. Nepalese politicians are becoming increasingly outspoken about what they see as India’s role in the blockade. On Sunday, the prime minister, Khadga Prasad Sharma Oli, suggested India was to blame for prolonging the blockade, describing it as “inhumane and beyond imagination” according to local media reports. Some have accused India of siding with the Madhesi, who have close ethnic, cultural and linguistic ties with north India. India has repeatedly denied the allegations. However, efforts to rebuild have been hampered by the government’s failure to establish the national reconstruction authority, the body charged with overseeing the distribution of $4b.1n (£2.7bn) of relief funds promised by the international community shortly after the earthquakes, which struck in April and May. The World Food Programme has said that the distribution of food supplies to earthquake victims is 20% behind schedule due to the lack of fuel. The organisation’s two helicopters, which had previously been delivering relief materials to about 140,000 survivors at high altitude twice daily, were grounded all of last week. “We are doing our best to help survivors of the earthquake but it is very difficult,” said a spokeswoman for the UN body. KATHMANDU, Nepal — David Beckham played soccer with Nepalese children on Friday and visited a school in Bhaktapur that was damaged in April’s devastating earthquake. Beckham visited the Shree Padma Higher Secondary School, where classes are being held in temporary sheds after the April 25 earthquake that killed nearly 9,000 people. He spent an hour talking to students in classrooms made out of a tin roof and bamboo walls. The former England captain later played soccer with the children at an open courtyard surrounded by old Hindu temples. “This is the best day of my life. I am so, so happy,” said Seline Homija, an eighth-grade student who played with Beckham on the brick paved courtyard. Hundreds of fans gathered to watch, and police used batons to control the crowd. Beckham, who also recently visited children at a hospital in Papua New Guinea, is in Nepal for a day filming a documentary. 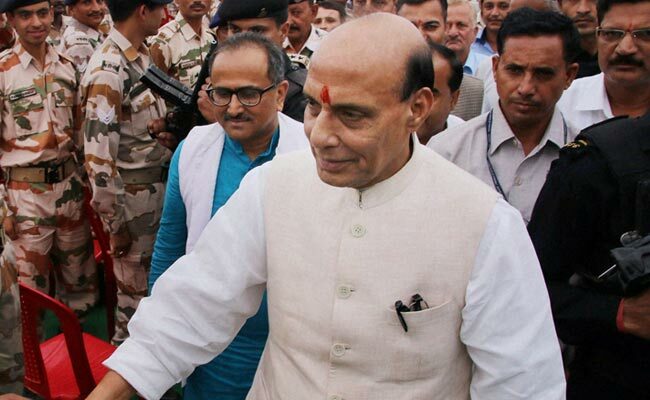 NEW DELHI: Home Minister Rajnath Singh said today that India wants good relations with Nepal and it will do everything to better strained relations. “We want very good relations with Nepal. We will do everything for betterment of our relations with our neighbors,” Mr Singh told the media in New Delhi. Nepal has accused India of covertly backing Madhes-based parties protesting against Kathmandu’s new Constitution and blockading the India-Nepal border, causing widespread shortages in the Himalayan nation. India says it can’t be blamed for the situation in Nepal. Nepal had been fully dependent on gasoline imports from India for years. Nepal is facing a humanitarian crisis due to the blockade of its border posts withIndia by groups opposed to the new national constitution, according to the country’s deputy prime minister, Kamal Thapa. Speaking at the UN in Geneva on Wednesday, Thapa warned that the future of Nepal’s children is at stake if the blockade is not lifted. The blockade, which is now into its second month, has severely restricted the amount of fuel and essential supplies reaching the country from India. Nepal relies heavily on India for a substantial proportion of its imports. In Kathmandu, mile-long queues for petrol twist through the capital’s streets, and many residents are now using firewood to cook their food, having run out of cooking gas. The impact of the crisis is felt even more keenly in the Terai, the country’s southern plains, where the Madhesi and Tharu ethnic groups, together with political parties who oppose the new constitution, have enforced a general strike for almost three months. Hopes of resolving the crisis were dealt a blow on Monday when police attempted to clear the blockade at the border town of Birgunj. During clashes between security personnel and demonstrators, an Indian citizen was shot dead by the police. Laxman Lal Karna, the leader of Sadbhavana party, one of the political groups leading the demonstrations, accused the Nepal government of trying to suppress their protest by force. The crisis is also disrupting efforts to bring relief to survivors of the earthquakes that struck Nepal in April and May. Oxfam has called on the government of Nepal to resolve the standoff as a matter of urgency. The petrol shortage may have caused more casualities when an overcrowded bus fell off a mountain road in Rasuwa district, north of Kathmandu, on 3 November. Local media reports said that 36 people were killed. Bus accidents are commonplace in Nepal, but the chief district officer of Rasuwa, Shiva Ram Gelal, said the petrol crisis had meant that rules banning passengers from travelling on the roofs of buses were no longer being enforced. Nepal is edging closer to a humanitarian crisis potentially even bigger than the massive earthquake that struck in April. This time, however, it’s a political crisis rooted in Nepal’s social divisions. Nepal’s new constitution, passed in September, has generated significant controversy. Ethnic minorities have taken to the streets in large-scale protests against the discriminatory provisions of the new governing order. Amid the dispute, fuel exports from India have halted, creating an escalating emergency as the winter approaches. Here’s what you need to know to understand the crisis. Nepal’s new constitution is highly controversial (and clearly flawed). Nepal’s politicians had been drafting a new constitution for seven years. The long-stalled writing process accelerated after the earthquake, which placed pressure on elites to resolve their political disputes. But the parties saw this an opportunity to rush through a constitution that consolidated the conservative establishment’s power. Even though 90 percent of Nepal’s parliament endorsed the constitution, the new constitution has left much of the nation deeply disappointed. It is the people of the plains area bordering India, called Madhesis, who are angered most. New provisions reject full citizenship to children born of a Nepali and a foreigner and ban these offspring from being elected to higher office. To the Madhesis, who often marry Indians across the border, this is blatant discrimination. When coupled with new federal boundaries that deny them a province, Madhesis view the new constitution as an overt attack on their community. The political crisis has resulted in a fuel shortage. For over two months, indigenous groups have been both violently and nonviolently protesting the constitution. Security forces have brutally suppressed these demonstrations while political elites have ignored their demands. Escalating their tactics, the Madhesis have deliberately disrupted trade routes from India into Kathmandu. However, there is debate surrounding the blockade. There is a belief that India is complicit in the fuel disruption. India has strongly criticized the new constitution and many in Nepal argue that India has imposed an economic blockade to pressure change. Although the exact truth is unclear, it seems likely the Indians have played a deliberate role in the fuel shortage. The current unrest is rooted in Nepal’s national identity. The long-standing ambivalence between Nepal and India is vital to understanding the present crisis. Even though India and Nepal share a long history of cooperation, India has also been portrayed in Nepal as a meddling foreign power that manipulates Nepal’s domestic politics. Because of the Madhesis’ close geographical and cultural ties to India, many in Nepal view Madhesis with suspicion. India’s sympathy for Madhesi demands has heightened tension. Many view it as evidence of an Indian-backed Madhesi “fifth column” determined to undermine Nepalese national identity. In this environment, Nepal’s politicians have ignored calls for reform while vilifying the opposition. The hyper-nationalistic notion that India – and not the Madhesis – are behind the protests has weakened the movement. China is unlikely to benefit from the tension between Nepal and India. A recent article in Foreign Policy argued that India’s actions, which have left a substantial proportion of the Nepali population angered, will push Nepal toward a closer relationship with China. But this position misunderstands local realities. China is unlikely to assume India’s strong position of influence in Nepal. Despite tension, India and Nepal share many religious, cultural, and linguistic commonalities and have a long history of cooperation. In addition, the sparsely populated and mountainous border between Nepal and China is inhospitable to trade. While Nepali nationalists would like to see Nepal move into China’s embrace, India remains the country’s natural ally, despite recent strains. What happens next will be transformational — for better or worse. Nepal’s young democracy is at a critical juncture. While resentment between the political elite and indigenous groups has risen significantly, accommodating Madhesi demands would bring broader buy-in for the new constitution. The resulting political stability would end the fuel crisis, avert humanitarian disaster, and could facilitate much needed development. The alternative path is perilous. If Madhesi and other ethnic demands are ignored, the anti-constitution movement could become more radical. Separatist factions could emerge while the fuel shortage could hurt millions. The decisions of Nepal’s political establishment in the coming weeks and months will have lasting consequences. [Nirabh Koirala worked for the Centre for South Asian Studies in Kathmandu, Nepal, and studies political science and economics at Grinnell College. Konviktion’s note: India could have shown a bit more tolerance towards Nepal and for Nepal THIS IS NOT THE RIGHT TIME TO RAISE POLITICAL CRISIS THROUGHOUT THE COUNTRY ITS MAKING THE SITUATION MURKY ENOUGH, ITS TIME FOR HUMANITY, MILLIONS OF DELEGATES ARE THERE TO HELP TO RISE THE COUNTRY FROM THIS DREADFUL DISASTER AT THIS POINT OF TIME THE POLITICAL PARTIES COULD HAVE WAITED UNTIL THE SITUATION GET A LITTLE BIT SETTLED. VERY PATHETIC TO SEE SUCH INTOLERANCE. I DONT THINK THIS IS A WISE DECISION TO GO POLITICAL WHEREAS THE ENTIRE COUNTRY IS UNDER CRISIS. THUS THEY MIGHT LOSE COMPASSION AND SYMPATHY FROM THE REST OF THE WORLD. Oct 16, 2015- Indian Oil Corporation (IOC) has failed to live up to its commitments to boost petroleum supply. The IOC, which had on Sunday pledged to supply adequate fuel, has been providing fuel to just 10 percent of the NOC tankers reaching IOC depots, according to Nepal Oil Corporation (NOC). After the formation of the new government led by Prime Minister KP Oli, the IOC had on Sunday asked the NOC officials over the phone to dispatch tankers to IOC depots for fuel. It even refilled more than 100 tankers on Monday and Tuesday. However, the supply was again cut on Wednesday and Thursday. NOC Managing Director Gopal Bahadur Khadka said they were holding talks with IOC officials on a daily basis. “IOC officials said they cut the supply as per the orders from ‘higher authority’ and that the issue should be resolved through government-to-government talks,” he said. On Wednesday, the IOC provided fuel to only one-third of the tankers reaching its depots, while just 10 percent of the tankers were refilled on Thursday too. Only 40 fuel tankers and four LPG bullets entered Nepal on Thursday. Of the total imports, 13 diesel tankers, one petrol tanker and two gas bullets entered through Nepalgunj customs point, while five diesel tankers and two petrol tankers came through Gaurifanta, Kailali. Likewise, seven diesel tankers, two petrol tankers two gas bullets entered Nepal through the Bhairahawa customs point, while six diesel tankers, three petrol tankers and a aviation fuel tanker cross the border through Kakarvitta customs point. Meanwhile, 30 loaded fuel tankers have been stuck on the Indian side of the Biratnagar-Jogbani customs point. NOC officials said the tankers, even after customs clearance, could not cross the border due to traffic congestion. KATHMANDU: With the onset of Dashain, the greatest festival of Nepali Hindus, many people from different parts of the country are leaving Kathmandu to celebrate the festival, notwithstanding the hassles including lack of adequate vehicles, a perennial problem occurred very year during festivals. Scenes of people from outside the Kathmandu Valley heading towards their homes to celebrate festivals like Dashain, Tihar and Chhath, getting on packed vehicles, risking their lives are common every year during festivals. However, this year, the problem has been compounded by the blockade on the Nepal-India border, causing fuel shortage. Deputy Superintendent of Police Rajendra Prasad Bhatta said that around 206,386 people have already left Kathmandu in the first three days of the festival. “The number of passenger vehicles leaving the valley is increasing since the Nepal Oil Corporation started providing fuel to the vehicles,” he said. Likewise, help desks have been set up in 12 places in the valley like New Bus Park, Old Bus Park, Balkhu, Kalanki, Nagdhunga and Airport to help out the passengers leaving Kathmandu to celebrate Dashain. Meanwhile, police arrested three persons from Kalanki area on the charge of charging passengers higher than the set bus fare. BIRGANJ, Nepal — The line of parked cargo trucks stretches at least 18 miles (30 kilometers) from the Nepalese border. Some have been waiting on the Indian side for 45 days. On the other side, hundreds of ethnic Madhesis are protesting against Nepal’s new constitution. With them blocking the road, Indian truck drivers say they’re stuck. The border impasse — now in its third week — has halted the majority of shipments into Nepal and left the Himalayan nation hobbled by a shortage of fuel and goods. Nepal said Thursday one of its newly appointed deputy premiers, Kamal Thapa, was invited to go to New Delhi on Saturday for talks to resolve the stalemate. Nepal has accused India of imposing an economic blockade to support the Madhesis, who have strong links with India, in their demand for more constitutional representation. But India insists the problem is Nepal’s, and that Indian truck drivers won’t resume their deliveries because they are afraid to cross into the middle of a protest camp. There, the Madhesis have erected tents and set tires alight. On Wednesday, some 1,500 were rallying at the camp, and no Indian or Nepalese police or border guards were patrolling anywhere nearby. Several checkpoints dot the 1,000-mile (1,700-kilometer) border, but most shipments into Nepal go through this checkpoint at the northern edge of the Indian state of Bihar. Indian Oil Corp. — which supplies all of Nepal’s fuel — has said only 6,000 tons of gasoline and diesel had been delivered in the first half of October — not even a quarter of the usual two-week supply of about 30,000 tons. The company has yet to assess its losses. The largest Madhesi group, called the United Democratic Madhesi Front, has vowed to continue agitating until the government agrees to their demands. They have argued that the new constitution unfairly divides Nepal into seven states with borders that through the Madhesis’ ancestral homeland in the southern plains. The Madhesis, along with several other small ethnic groups, also want the states to be larger and to be given more autonomy over local matters. Gurubacharya reported from Kathmandu, Nepal. Associated Press writer Muneeza Naqvi contributed to this report from New Delhi.